The first thing that seems odd when watching the latest film from Wendy & Lucy director Kelly Reichardt, Meek’s Cutoff, is that she has shot the film in the classic Academy Ratio of 1.34:1, meaning it’s shaped like a box. 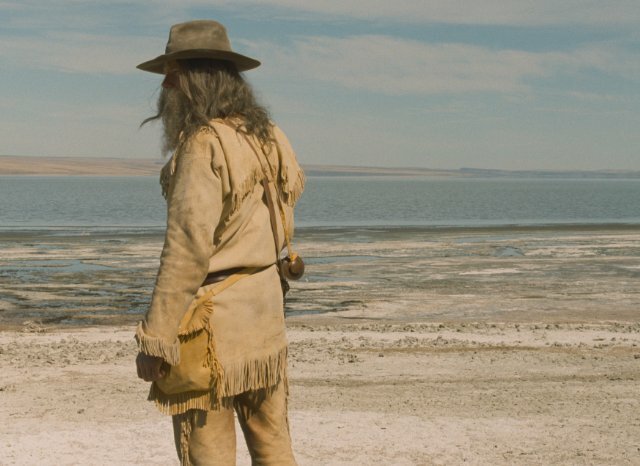 Some modern films—including Andrea Arnold’s Fish Tank—have done this approach, but Ms. Reichardt is also making a Western on the dry, barren landscapes of 1845 Oregon, meaning she is denying us access to these wide open spaces that surround her characters. And yet, Meek’s Cutoff is not a Western about the miles of open land—it’s instead claustrophobic, as we see the world and perhaps livelihood of our characters falling apart and squeezing in on them. There is a certain fear that pervades the entire film, and it comes from this often-devastating visual technique. Yet why make a claustrophobic allegorical Western? That’s the problem that Meek’s Cutoff will have on its viewers the first time around. The astute work of Ms. Reichardt is on display, but the film is difficult to swallow in a way very different from Wendy & Lucy, which was a much more emotional journey, thanks to the performance of Michelle Williams. Ms. Williams is back here, but she’s only part of a group of pioneers, lost along the Oregon trail, none of whom standout, except for a bearded Bruce Greenwood as the titular Meek. 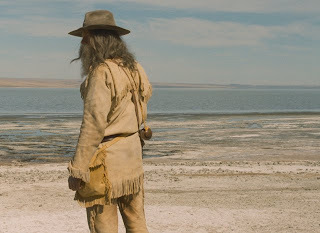 A series of long, distant shots sets the stage for Meek’s Cutoff, as we see the three families and Meek traveling along barren landscapes with little joy. We see one of the characters carving into a branch a single word that gives you all you need in terms of exposition: “Lost.” With that, we are invested in what these families are about to go through, and whether the titular Meek is either himself lost or devilishly leading the ground astray. And then things get weird with the appearance of a Native American, which sparks a number of more debates. In Meek’s Cutoff, the tension is not the settlers against the terrain, though it certainly has its effects. It’s an essentially psychological drama where small gestures or phrases drastically change power dynamics. The film’s cast is reserved in their emotions and allow the smallest of moments to speak in a truly dynamic way. This not only includes Ms. Williams and Mr. Greenwood, but also Shirley Henderson, Zoe Kazan, Paul Dano, the always-underrated Will Patton, and Rod Rondeaux in the strange, strange performance as the Native American. Not much happens when compared to the large landscapes, all of which are brutally harsh. The technical aspects of the film are amazing, from the locations (Roger Fairies has received a singular credit for his amazing work by scouting the locations), the drab and flavorless clothes of the men and women, and the harsh unflattering cinematography by Christopher Blauvelt. All work together toward Ms. Reichardt’s vision of the West, which feels more like a psychological-heavy realism than a mythic tale. However, there is an allegorical approach to Ms. Reichardt’s narrative, and the film is full of symbols, cryptic dialogue, and an ending that will leave many unsatisfied, as if it is reaching for a biblical sense, but not clear about what it really wants to say. It left me a little unsatisfied as well, only because one viewing will not be enough to sufficiently understand the world Ms. Reichardt has brought to the screen. The film is difficult, and only those willing to work through the ideas on screen will be rewarded. And yet, it’s a film that really merits the word “original” next to it, because the genre has never been starker, and in a strange way, more beautiful in a haunting way, than presented here. The world of Meek’s Cutoff fits appropriately as an anti-western; without a civilization to hold on to, Ms. Reichardt has taken us to a world of truly absurd fears, and claustrophobia on the open plain.